PHILADELPHIA (WPVI) -- Attorney General Jeff Sessions can't follow through - at least for now - with his threat to withhold public safety grant money to so-called sanctuary cities for refusing to impose new tough immigration policies, a judge ruled Friday in a legal defeat for the Trump administration. 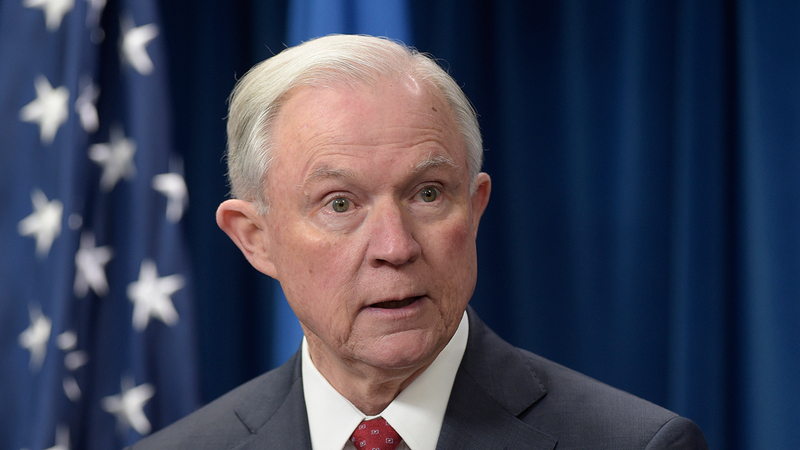 He said the city of Chicago had shown a "likelihood of success" in arguing that Sessions exceeded his authority with the new conditions. Among them are requirements that cities notify immigration agents when someone in the country illegally is about to be released from local jails and to allow agents access to the jails. The ruling came after Chicago had asked the judge for a "nationwide" temporary injunction this week, asking the judge not to allow the Justice Department to impose the requirements until the city's lawsuit against the department plays out in court. Chicago officials have said such a ruling would prevent the Justice Department from withholding what are called Edward Byrne Memorial Justice Assistance Grants to the cities based on their refusal to take the steps Sessions ordered. Philadelphia also sued Sessions over the same grants.